We are pleased to confirm that arrangements are now in hand for the 2018 Edinburgh and Bangor Dinners, which are open to all former pupils of Bangor Grammar School. The Edinburgh Dinner, to which we hope to attract students attending local universities, as well as past pupils who reside in Scotland, will be held at the Royal Scots Club in Abercromby Place on Saturday 27 October (it was also the venue for the very successful relaunch of this event in 2017). Further details will be provided over the coming months; in the meantime any questions can be directed to our special dinners email address: dinners@grammarians.co.uk. 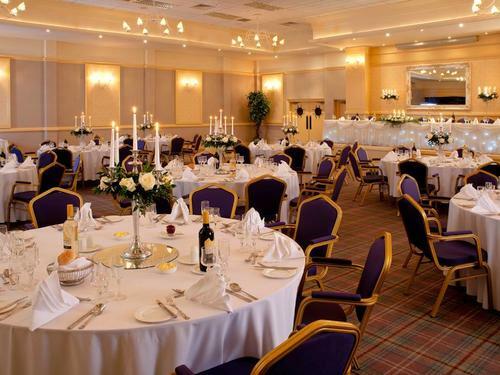 The Bangor Dinner will be staged on Friday 9 November at the Marine Court Hotel, venue for many successful past dinners. We are delighted to announce that past pupil Stephen Martin MBE, winner of a Gold Medal with the Great Britain men’s hockey team at the 1988 Seoul Olympic Games, will be our guest speaker. The customary dinner flyer will be distributed around mid-September in the 2018 Grammarian magazine; it will also appear on our website and Facebook page and will be circulated to all those past pupils for whom we have a current email address. As with the Edinburgh Dinner, any questions about the Bangor event can be directed to: dinners@grammarians.co.uk. We look forward to welcoming class groups from all ‘generations’ of past pupils, especially those celebrating noteworthy anniversaries. Members of the Class of 1951 have never needed an excuse to reunite for the Bangor Dinner, while the Class of 1975 will mark the 50th anniversary of starting at BGS in September 1968. We are hoping this time around to see a good representation from class groups who left the school in the 21st Century! The next London Dinner is scheduled for Friday 22 March 2019 at the Carlton Club in St James’s Street. Further details will appear here later in the year.